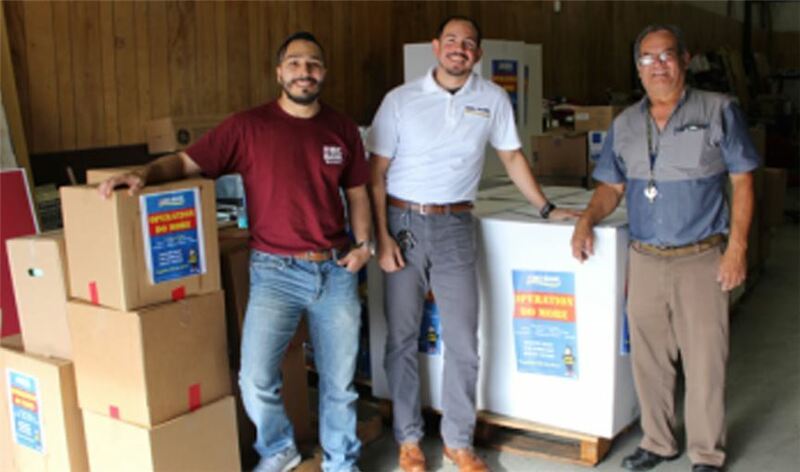 IBC Bank employees, Cesar Dominguez, Antonio Alvarez and Ruben Espinoza load the Red Cross truck with Hurricane Harvey relief supplies collected during IBC Bank's Operation Do More Hurricane Harvey Supply Drive. IBC Bank employees collected nearly 6,000 pieces of cleaning supplies from customers and community members as part of Operation Do More. The program started in an effort to assist Hurricane Harvey victims; supplies were distributed to the Houston area through the South Texas Red Cross. IBC Bank has branches along the Texas coast, from Brownsville to Houston. Operation Do More was a way for IBC Bank employees, customers and the area communities to come together to support their fellow Texans who were affected by the storm. Ruben Espinoza, IBC Bank employees.